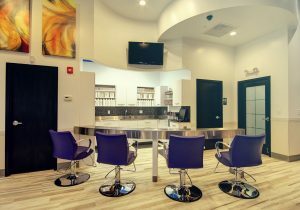 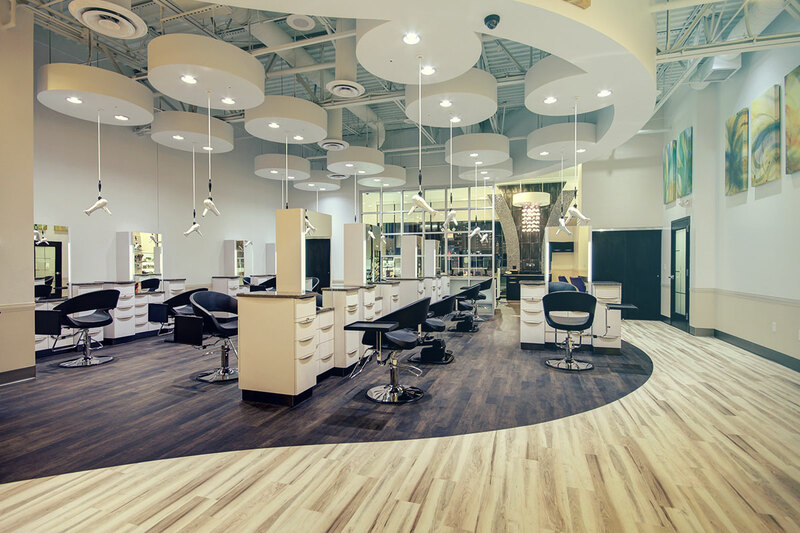 Ginger Bay roars to life with purple Lioness styling chairs and modern aesthetic. 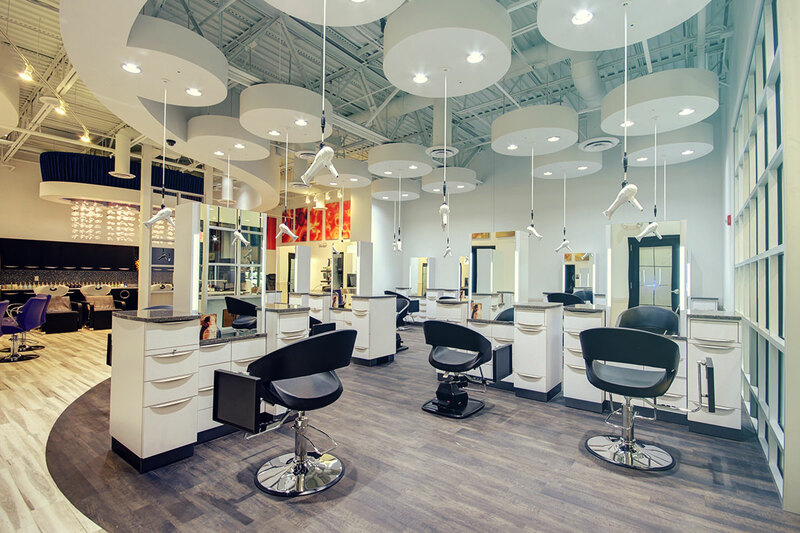 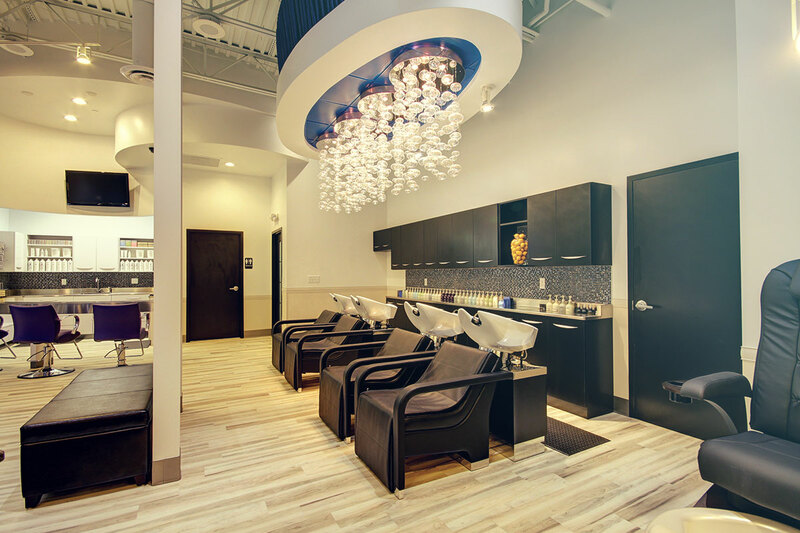 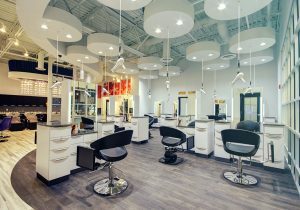 Adorned with classic caruso chairs and the handy asista trays in their blow dry station. 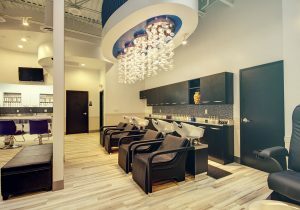 Relax in the shampoo are in comfortable Oregon units.